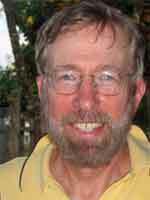 Paul’s Story – No More Kidney Stone Pain! I’ve had two kidney stone attacks in my life. They weren’t fun. They were the most painful things I’ve ever endured. Once I had them, I knew I was in for a lifetime of kidney stones. I thought, if they formed twice, I’ll probably get them again. It affects about 10% of American men and 5% of American women. Chances are, you know somebody who’s had painful kidney stones. In the States, my urologist and the Internet told me to drink lots of water and avoid certain foods for my calcium oxalate stones (about 80% are this type): strawberries, black tea, coffee, chocolate, carbonated drinks, spinach, cashews and peanuts, beets, sweet potatoes, and many more wonderful and otherwise healthy foods. Well, I drank lots of water and cut way back on the above, as my doctor told me, but two years later I got another stone. I did all the right things, but still had a repeat attack. When it happened, it took me to the floor. The pain was excruciating. I threw up for hours and, eventually, went to the ER. Once they put in the pain killers, I was okay to leave and make an appointment for surgery. After the removal of the stone from my ureter, and subsequent follow-up with my urologist, I swore I would never go through it again. 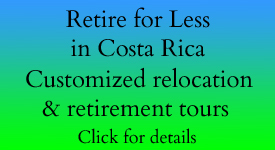 Soon after (April 1, 2009), we moved to Costa Rica. A few months later, I made it a point to see a local urologist, Dr. Johnny Rodriguez at the Los Angeles Clinic in San Ramon de Alajuela, Costa Rica. Cost: $60. He did the digital thing, and gave me a script for an X-Ray at the local Caja hospital; it was free with our monthly Caja (Costa Rica’s national healthcare system) payment. 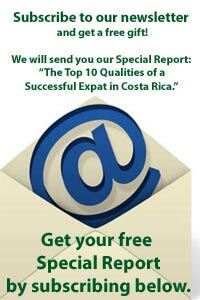 For more information on the Costa Rican healthcare system, read our articles here. A week later, I took the results back to Dr. Johnny. Sure enough, I had a stone, so he sent me to get an ultrasound (cost: $30). Yes, they confirmed, I had a 7mm stone attached to the wall of my kidney. He told me to drink lots of water and take Chanca Piedra. “Chanca what? ?” I asked. Before purchasing it at our local macrobiotica (health food store), we looked it up on the Internet. We found that there had been over 300 studies with positive results and no side effects. According to these unofficial studies, Chanca Piedra worked quickly, sometimes in just a few weeks, to break up the stones and allow them to pass harmlessly through the urinary tract. It’s natural and comes from Peru and Brazil. I consider it a wonder pill. I take four a day, with or without food. It probably did its job the first month, but who wants to take a chance? It only takes one kidney stone attack to make you realize that you never want another excruciatingly painful, debilitating, put-you-on-the-floor kidney stone again. This was the best advice I EVER got from a doc! The last time a doctor (in Maryland) told me to come back to monitor the progress of my stones, I ended up in the ER in a week! 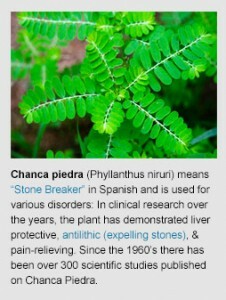 I’ve never been a great believer in natural cures, but I’m a believer in Chanca Piedra. This stuff is great. 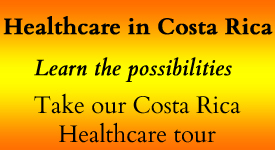 I think it works — at least I haven’t had another kidney stone attack since I’ve been in Costa Rica. But I did have that 7mm stone in my kidney just waiting to grow and descend. It’s two years later, and I’m still waiting, thank God! And Chanca Piedra is very inexpensive. It costs me about $15 for a month’s supply from my local macrobiotica. UPDATE: As of January 2015, I still haven’t had a kidney stone attack and I’m still taking Chanca Piedra every day.